While I was focused early in my career on roles in corporate finance and business systems consulting, pivots took me from an online journalist, founder of my own website and then back into business system strategy. 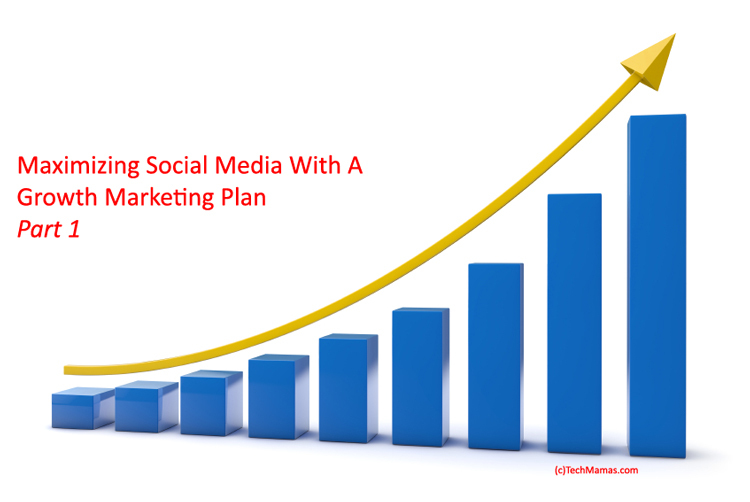 To create an online brand and connect with your current/potential customers means more than just having a website, it requires creating a social media (content) marketing plan. But to really grow a business, there also needs to be a “growth marketing” plan. Growth marketing is the process that moves beyond creating brand engagement to lead generation that results in sales. These plans are essential for every type of business, from small to large corporations. But it was not until I went to the Social Tools Summit to speak on a panel on business value of social media that I met other executives and managers tasked with the job of creating their company plans. We discussed moving beyond focusing on social media metrics to understanding what steps lead to revenue generation, including inbound marketing, conversions, lead nurturing and more. After that, I reached out to my local network of entrepreneurs and marketing professionals to learn what type of growth marketing plans they were implementing. There was so much to learn, it was hard to know where to start. I decided the first step would be to learn about getting leads from social media. 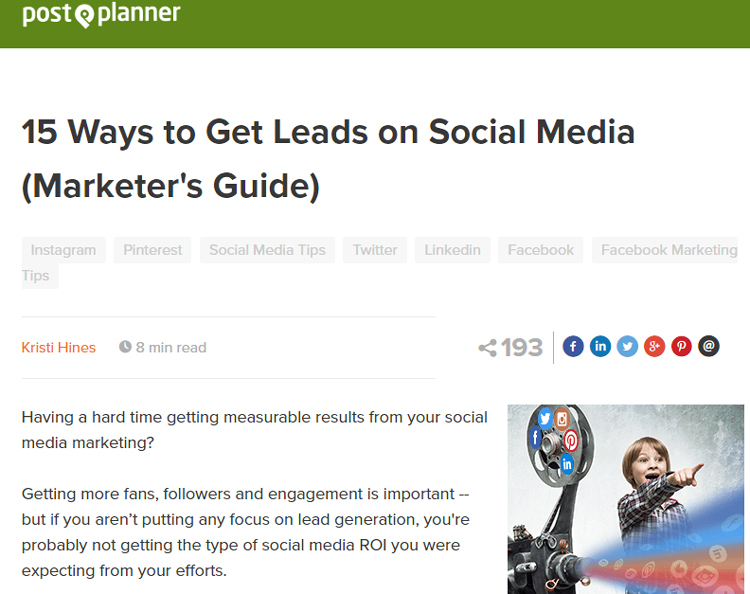 The post “15 Ways to Generate Leads in Social Media” in the Post Planner blog provides an overview of that topic. For example, opt-in forms that drop down when you visit a web page, buttons with call to action (CTA) that inspire users to sign up as a customer or drop boxes on blogs that request emails for the newsletter. When using social ads, setting up target audiences or profiles can find the right target demographic for your business. In each step of the plan, A/B testing (comparing different versions) will help fine tune what images, wording, and content make the biggest impact for your audience. Razor Social took the concept of generating leads a step further by discussing the content conversion funnel. Creating a content conversion funnel will lead customers down the path from engagement, offer and then sales. The PRISM funnel includes: P = People, R = Relationships, I = Inbound Traffic, S = Subscribers & Social Retargeting and M = Monetization. As always, it is important to start out by engaging customers (people) and forming a relationship by presenting content that offers value. That content can then be used for social media (both paid and unpaid), Google Organic traffic and referrals to nurture leads and present offers. Content and sales funnels are just part of the marketing strategies that cover converting target audiences online by lead generation with a goal of monetization. As I learn more about growth marketing strategies I hope to share more details. My goal is also to create my own funnel on TechMamas.com while sharing details along the way. 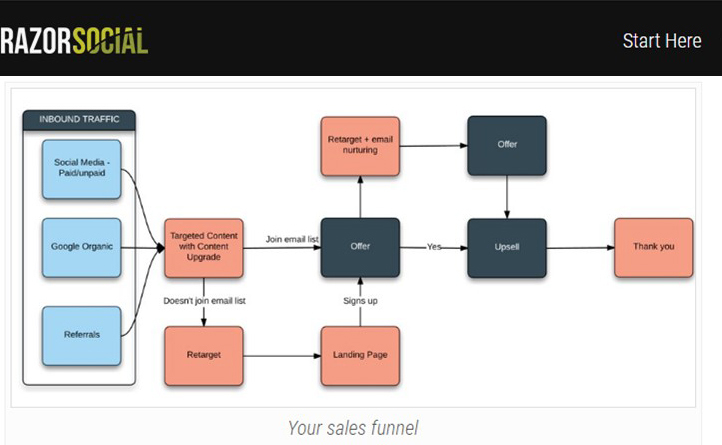 Have you set up a content or sales funnel for your business? If you have growth marketing tips to share, please comment with details.